Brazil's Senate has voted to permanently remove President Dilma Rousseff from office. The decision is the culmination of a yearlong fight that paralyzed Latin America's most powerful economy and exposed deep rifts among its people on everything from race relations to social spending. Senators who support President Dilma Rousseff are submitting a request to separate the upcoming decision on whether to remove her from office and to ban her from further posts into two different votes. 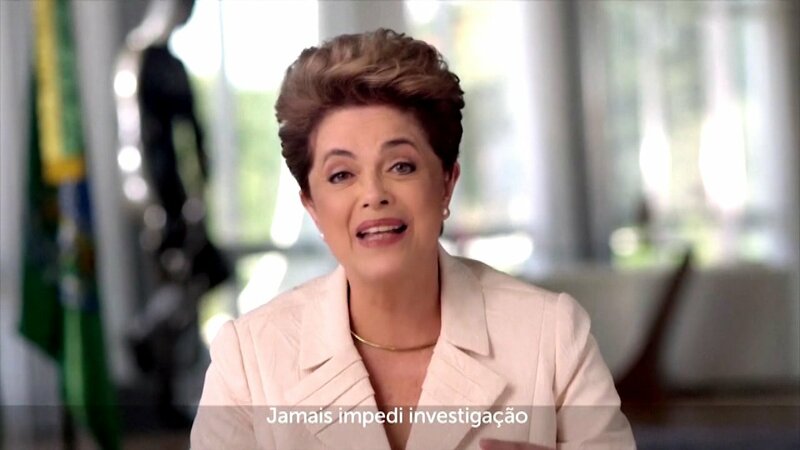 Rousseff is on trial for breaking fiscal responsibility laws in her management of the federal budget. She will be removed permanently from office if 54 of 81 senators vote in favor. Senators want to separate the vote on her removal from the presidency from a ban on holding public office for eight years. Supreme Court Justice Ricardo Lewandowski is overseeing the proceedings. He is expected to decide later Wednesday on the petition to treat the two issues as separate votes. Brazil's Senate has begun its final session in a trial that will decide the fate of President Dilma Rousseff. Brazil's first female president is accused of breaking fiscal responsibility laws in her management of the federal budget. She denies wrongdoing, and frequently points out that previous presidents used similar accounting measures. Supreme Court Justice Ricardo Lewandowski is overseeing the proceedings. He's scheduled to present a summary of the six-day trial before voting begins. If 54 of 81 senators vote in favor, Rousseff will be removed from office. The same body voted 55-22 in May to impeach and suspend Rousseff. The vote is expected later Wednesday.